Join us for 7 weeks of in-depth study of ancient yoga wisdom and explore how to apply to modern living. Our tried and true In-Depth Yoga Study is scheduled for February – June 2019! This 200 hour Teacher Training Program is part of our RYS Yoga Alliance Certification program. Are you struggling to find balance and happiness? Is living with ease and grace elusive? Are you ready to expand your yoga practice? Have you always wanted to share the gift of yoga with others? The Replenish Yoga & Wellness in-depth yoga study experience takes students far beyond poses on the mat and much deeper than current western yoga culture. The program design is not only educational but truly transformational. Together we will explore yoga’s traditions, including the 8 Limbs of Hatha Yoga, meditation techniques, asana (poses), the vital breath and its foundational role in yoga, philosophy and physical anatomy. All of these areas together form the foundation of the Eastern practice of right living through yoga. Students will learn how to live with greater ease, balance, health, and wellness through all our physical, emotional, energetic, intellectual and spiritual parts. Once you have your yoga certification (TT200), there are countless ways you can use it to help others: working with small children, offering yoga to teenagers for wellness, senior citizens for improved health and mobility, yoga for cancer survivors, yoga after PT for rehab, yoga for mental health patients, yoga for athletes (NFL teams all have yoga instructors now)! To help you build your business, the Replenish certification program includes business development and entrepreneurial lessons. Replenish TT200 is the BEST way to create a strong lifelong practice and the BEST step on your path to teaching. 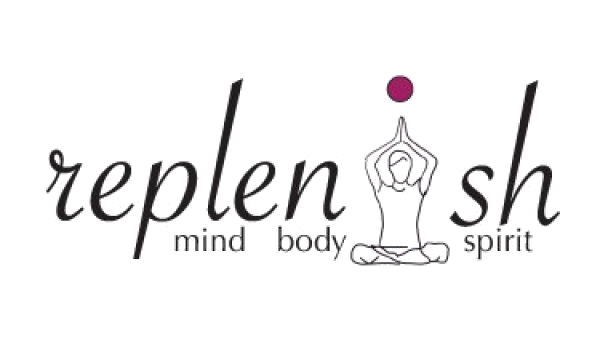 Replenish offers a safe place to explore your edge, dissolve limitations and blossom in openness, confidence and infinite possibility, fully prepared to teach yoga. Identify how to connect and strengthen inner core muscles. Students are required to purchase all required readings and additional supplies.